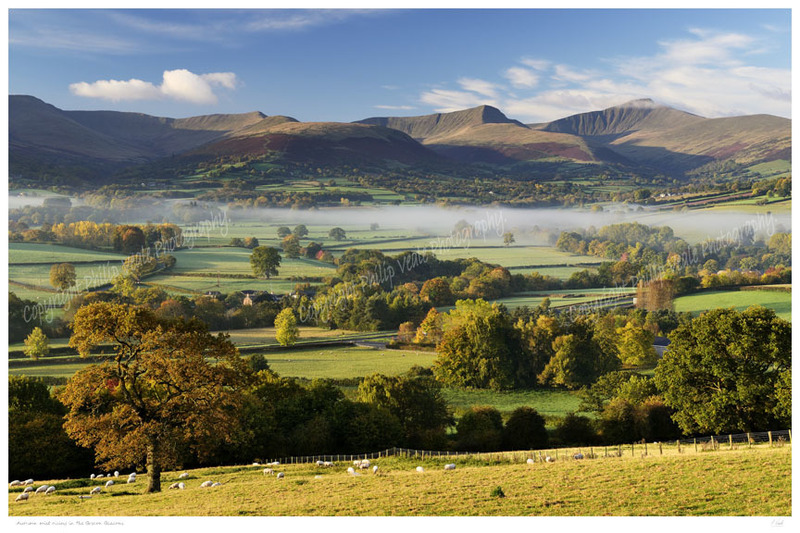 Philip Veale Photography: Autumn mist rising in the Brecon Beacons. Autumn morning mist rising through the valley at the foot of the Brecon Beacons. Print only size including border 24" x 16"